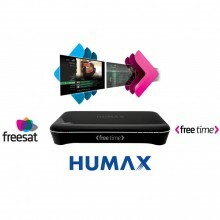 HUMAX HDR-1000S 1TB FREESAT+ HD DIGITAL TV RECORDER WITH "FREETIME"
Introducing the the Humax HDR1000S 500GB Freesat+ set top box with 'Freetime'. Freetime from Freesat is Freesat's new ultra-flexible recording and viewing service offering not just live pause and rewind but a further 7 days catchup TV and video on demand. Feesat offers over 150 channels with 5 free HD channels included. The Freesat+ Digital Satellite Recorder brings you all of this and more with its fabulous functionality. Including the outstanding programme guide feature, you'll be able to find the programmes you love far more easily. The Humax HDR-1000S Freesat Satellite Recorder allows you to record two channels whilst watching another – 2 channels are on the same multiplex, so you can be sure not to miss out on your favourite programmes while watching something in the moment. You'll be able to create a veritable library of your favourite shows to view time and again at your leisure. The Showcase feature from Freesat+ will tantalise you with the day's top TV picks, and there's the facility to pause and rewind live TV, so you can replay your favourite moments to your heart's content. If this isn't enough, the brilliant scroll-back EPG with selected broadcaster catch up services lets you see shows you've missed from the past 7 days via BBC iPlayer, ITV Player, 4oD and Demand 5 offers great online viewing with clever recording and recommended TV content with Showcase and Video On-Demand. The built-in 1TB hard drive can store up to 250 hours of HD programmes or 600 hours of SD programmes, guaranteeing a satisfying TV viewing experience any time. This top-class Digital Satellite Recorder features touch sensitive buttons and there is a very useful universal remote supplied from which you can initiate series, split, accurate, and one touch recording. The recorder can also be configured as a client or server device on your home network to facilitate streaming content from other DLNA devices. Other brilliant features on the HDR-1000S Recorder include video on-demand, recommended content and easily-accessible internet content via the ethernet connection, keeping you totally up to date and in the loop. There's a USB port as well for easy file sharing and device expansion. Quality and control For peace of mind, the Satellite Recorder has full parental control features, and subtitles are also available to make sure everyone's included. Last but not least, excellent picture and sound quality are ensured via the included HDMI and SCART cables, and the Quick Start guide eliminates all setup hassles. 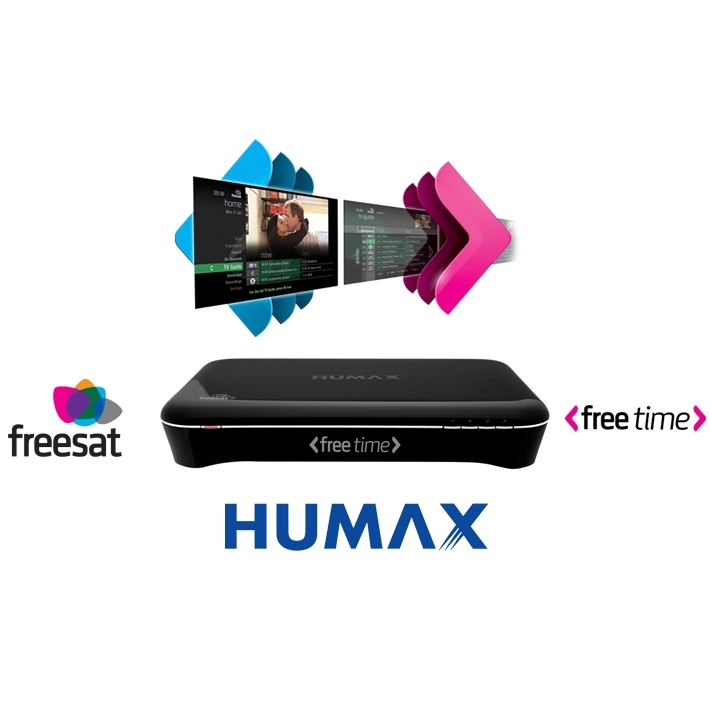 Bring the Humax HDR1000S 1TB Freesat+ with free time Digital Satellite Recorder into your home to take your entertainment setup to the next level. Click the button below to add the Humax HDR-1000S 1TB Freesat+ with Freetime HD Digital TV Recorder to your wish list.